After my first I found myself pleasantly surprised. It was quickly absorbed into my skin, no oily residue, smells fantastic; fresh, with a hint of floral. You only need a drop of two too treat your whole face; it’s very concentrated Having combination, sensitive skin and no negative reactions to report. I would recommend this to anyone looking for a good quality, basic, overall skin care treatment. The product is excellent. It really does what was promised by the producer. This time was a reorder for me. I tried the face oil before and ran out. Nearly panicked when I realized this delightful oil was down to the last drop. I couldn't wait to get it back in my face care regime. It absorbs quickly into my skin and has a divine fragrance. You definitely should try this! Love love love this company and all the products I have tried. I'm quite happy with how this oil helps my eczema, and am glad that it's safe enough to use even on my infant's eczema. It's helped my face and neck stay moisturized and I use it on my hands as well. I love how this oil keeps my face moisturized and feels like it makes my skin more youthful looking. During the winter, I have drier than normal skin, as I'm exposed to the elements at my job. This product soaks in immediately as my face craves it. I add this during the day as needed in specific spots and I am seeing a new smoothness overall in texture and softness. Thank you Max Green! First time I tried the normal formula but after finishing every drop, I ordered the Dry Complexion formula for my 50+ complexion. Either formula glides on with the smallest amount on the fingertips. My face felt softer and the scent of blended plant oils lifts me up in the morning and soothes me before bed. The scent is so subtle and only detected when really up close and goes undetected to those sensitive to scents. By the time arrive at the office, the scent has dissipated but not the wonderful benefits. I even found that an extra dab on the occasional break out speeds up the recovery of the inflammation and will put it on any part of my body where my skin is irritated by winter's cold and dry heat. Great on my sensitive skin. 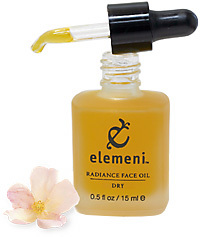 My esthetician uses elemeni face oil and recommended that I use it at home as well. 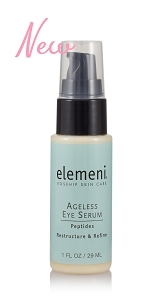 After menopause my skin became very dry and using elemeni oil nightly has restored my skin and it feels fantastic. I highly recommend this oil, I love it. I love how Elemeni makes my skin look. 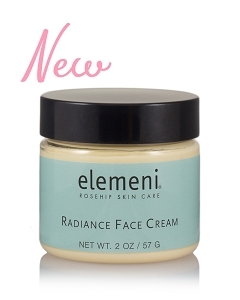 It doesn't irritate my rosacea and just seems to calm my skin. It's not heavy or greasy, and absorbs so nicely into my skin. I had a friend try it and she fell in love with it too. Thanks.